Circle Security Solutions will install, service, monitor and maintain all major brands of security & surveillance systems. We have been providing Miami alarm system & services for 40 years! Our state of the art wired and wireless products enable our customers to have constant awareness of their homes and businesses. Our security products offer the latest innovations, such as 4G cellular monitoring, alert notifications, system integrity monitoring, interactive service, energy management and, most of all, complete reliability! We are constantly training our staff in the latest in security and automation services. You will be familiar with our technicians and staff, will always speak to a real person (locally) and your concerns will be addressed promptly! You’ll have the confidence in knowing your family, your home, and business are safe and protected by the BEST Miami security company! Contact us today! Circle Security offers a wide range of security & fire products for your home or business that are all designed to keep you, your loved ones, and your possessions safe and protected. We custom design a security solution to fit your lifestyle and grow with your needs. Smart Home Security ,Central Station Cellular Monitoring, Alert Notifications, Interactive Security, Dedicated Connections, 24/7 Emergency Response, Proven Solutions, Licensed and Insured! Stay connected to your home or business 24/7 in crystal clear High Resolution 1080P HD Video! See what’s happening at your property in real time, get instant alerts via email or text, and never miss a moment with continuous recording. Now it’s easy to check up on the kids, your pets and valuables, and see what’s actually happening. 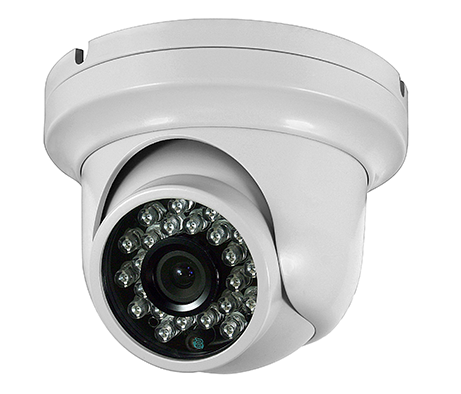 Often just the presence of a video camera surveillance system is enough to prevent burglaries at home! Monitoring systems can also be used to monitor employees, customers, housekeepers or nannies. 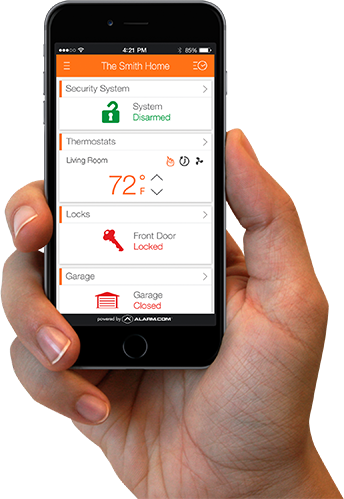 Our home automation systems provide a revolutionary platform that enables constant awareness, easy automation, and complete control of lights, thermostats, door locks, and more in your home or business. 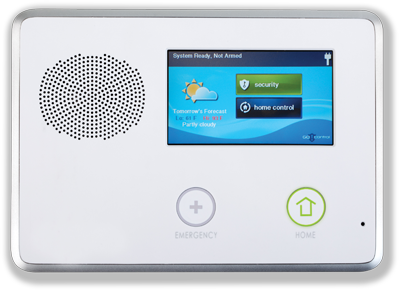 Web and mobile control as well as innovative safety features are installed by Circle Security and powered by Alarm.com. Do you have the required protection and certifications for your Commercial Fire Alarm System? Do you conform to the local Fire and Building Codes, Central Station Monitoring, UL/ETL Certifications, Runner Response? 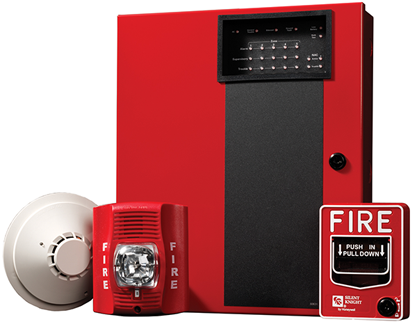 Circle Security Solutions installs, services, and Monitors most Commercial Fire Alarm Systems. We’ll even perform Annual Inspections and Testing to make sure you’re always up to code. 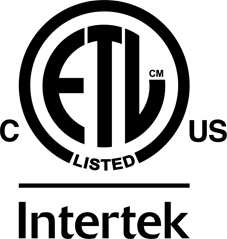 We are ETL listed and will provide the necessary CAD drawings and submittal packages required by all local municipalities, as well as Annual Testing and Certifications, required Runner Response, and Central Station Monitoring for New or Existing Fire Alarm System Installations. 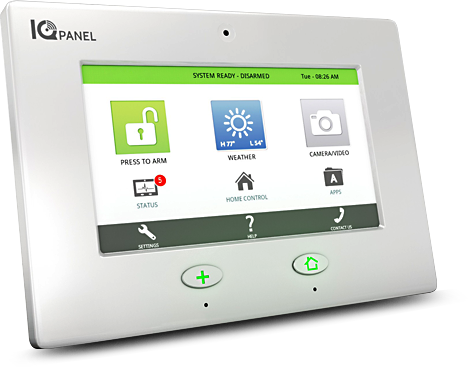 Circle Security Systems will install the most reliable and comprehensive systems available on the market today. Whether you have a large retail operation, warehouse, or small business, commercial fire protection and life safety have to be your number one consideration.